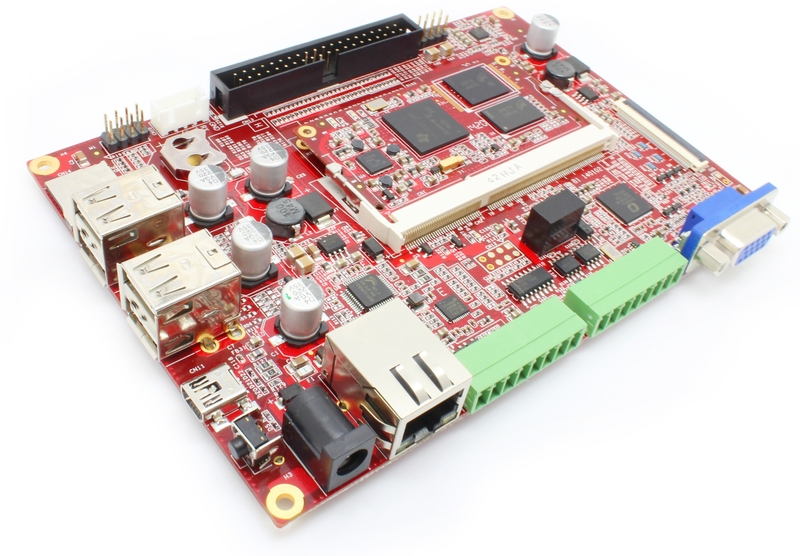 SBC3352ACW-B1A is compact, feature-rich of single board computer being developed based on CM3352 core module. Fully software and pin compatible with different CM335x core modules. 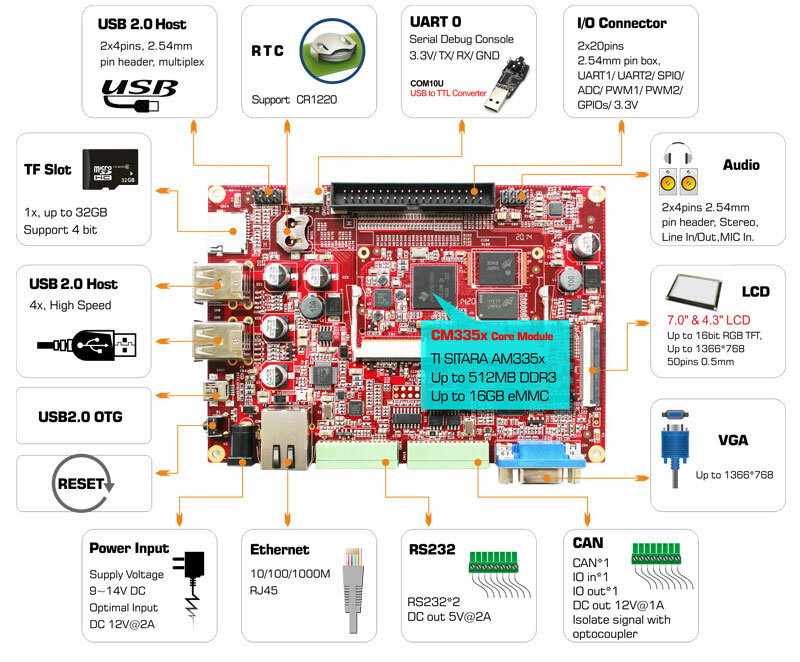 Integfrated VGA, USB, Ethernet, RS232 and more common interfaces. Supported by Linux, WinCE, Android and other embedded OS.